We thought it was the perfect time of year for this one (okay, so maybe a week or two late, but not that far off!). 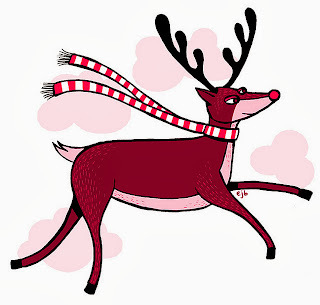 The origin of the phrase is pretty recent, and refers to the story of Rudolph the Red-Nosed Reindeer. Much maligned because he was different from his peers (the other reindeer), Rudolph's tale about an outsider whose differences end up saving Christmas has become a part of American culture. In fact, you’d be hard-pressed to find an American who hasn’t bumped into this Christmas critter in one form or another. Whether it was the classic holiday TV special, the song heard on the radio, or any number of plush versions sporting that famed red nose, Rudolph has permeated our culture since his invention in 1939. But did you know he was the creation of a department store chain? Yep, a Jewish advertising copywriter who worked for Montgomery Ward in Chicago, named Robert May, invented him. Rudolph was created at the request of May’s manager, who wanted to offer a “cheery Christmas book” to shoppers that year. His only request was that an animal be the star of the book. May chose a deer because his 4-year-old daughter Barbara had become fascinated by them from her visits to the Chicago Zoo. Shoppers immediately fell in love, and over 2 million copies were distributed that year. And it was May’s brother-in-law who was responsible for giving us the classic tune. The TV special narrated by Burl Ives first aired in December of 1964, and is the longest running Christmas TV special in history. The phrase “reindeer games” got a fresh infusion into our culture with the release of a movie by the same title in 2000, starring Ben Affleck and Gary Sinise. And then of course there are countless reindeer games played upon (or should we say preyed upon?) our hapless pets on an annual basis. Not Amused. By Kerri Lee Smith, Flickr. And you need look no further than our very own blogger Glogirly to see what we mean. Not that Allie doesn’t totally applaud Katie’s very own reindeer game – she wishes she would have thought of something similar to pull on Faraday! We totally disapprove of reindeer games for cats. However we love eating reindeer - it is very tasty and healthy meat, and there are loads of reindeer in Finland(North) and they are a vital part of life for the Sami (Lapps). And of course they also gave us our favourite unit of distance - poronkusema. It's about 7km but depends on the temperature, and the strength of the reindeer's bladder. Actually thinking of it we have never heard of that before. We have to admit it is a new one on us. Have a tremendous Thursday. Interesting post! We hope Mommy doesn't get ideas about those reindeer stuff for cats. I agree with Puna - no reindeer games for kitties! I have never eaten one, though. 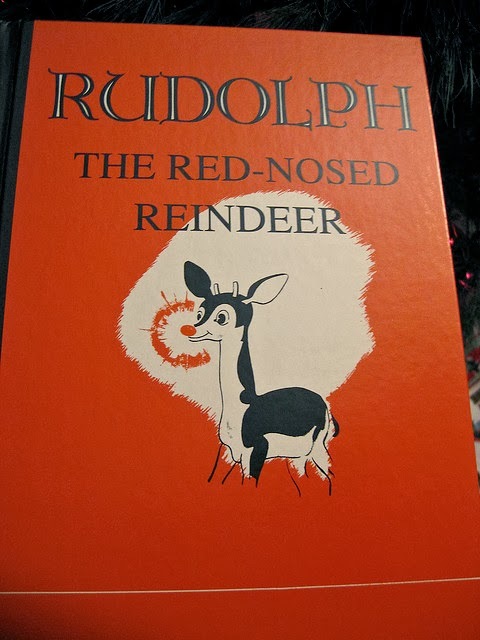 I always hated Rudolph.. shun him shun him, find a use for him and oh NOW he's your best friend.. *sigh* such a bad example to be setting for kids..
guys...thiz bee a fun ta reed post...we never new sum oh thiz stuff bout R fav rite deer....plus we iz troo lee thanx full Rudolph wuz knot one oh thoze vizshuz deer ya heer bout all de time... !! We agree with Tails from the Foster Kittens. The story has always puzzled us a bit. It seems to say that if you aren't one of the popular kids, you might have a chance to make friends by making yourself useful by being of service in some way. Which always seemed a less-than-healthy message to give children building their self-images. Thankfully, we are cats, so we don't worry about that much. Though if Ashton's nose started to glow, we would totally use her to help us find dust bunnies behind the sofa.